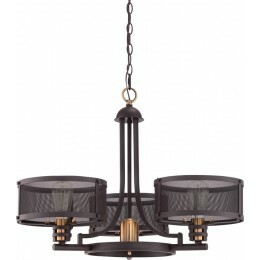 Chain: (1) 4 Ft. in Western Bronze Finish, Wire: 8 Ft.
Vintage meets Industrial. Union Station is a design with steampunk inspired roots. 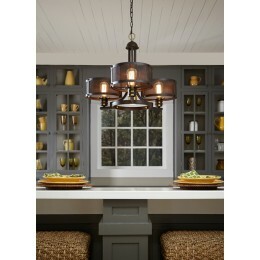 The metal mesh shades are transparent and allow the beauty of the vintage bulbs supplied to shine. 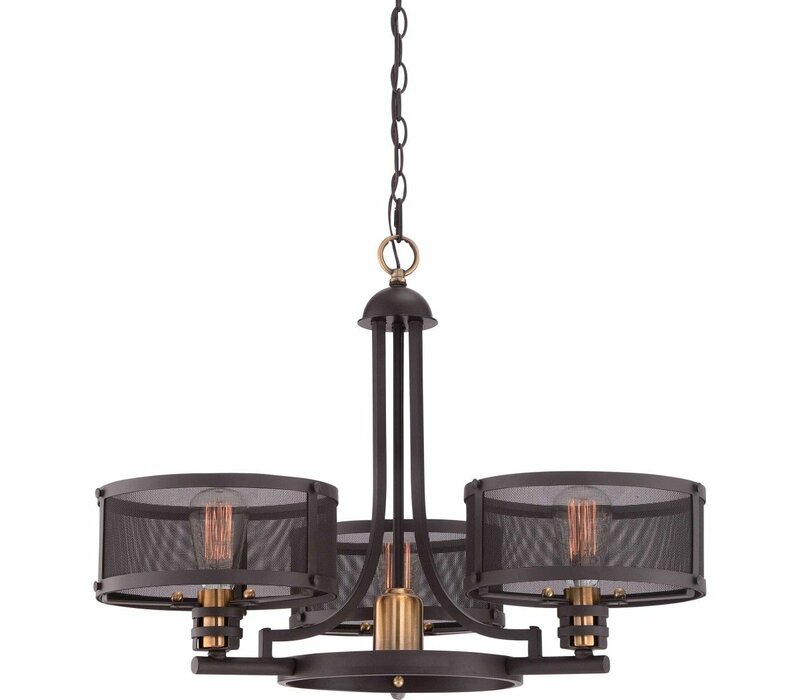 The base is created in a Western Bronze finish and features brass accents for a distinctive pop of color. 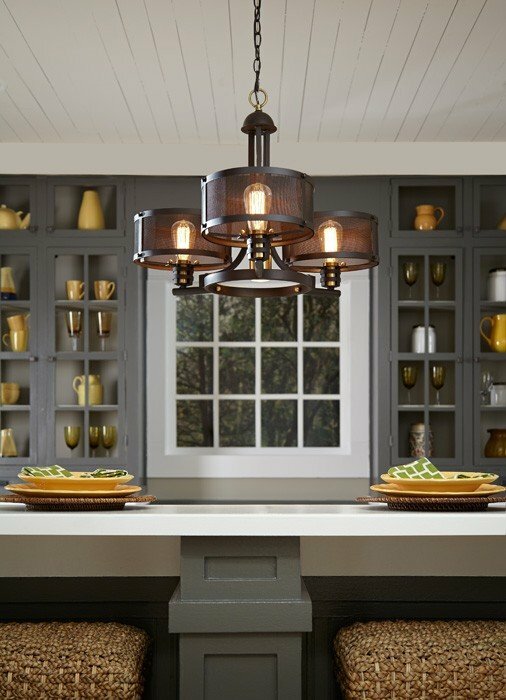 The Quoizel UST5003WT Union Station collection Chandelier Lighting in Western Bronze uses Incandescent and Halogen light output and brings Rustic style. This item is 20"H x 28"W x 28"L. The wattage is 100. 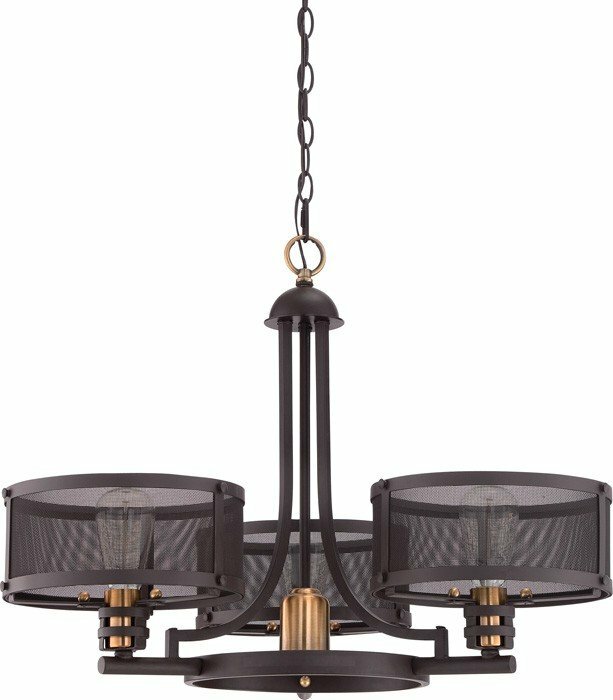 The Quoizel Lighting UST5003WT requires 4 bulbs (not included).